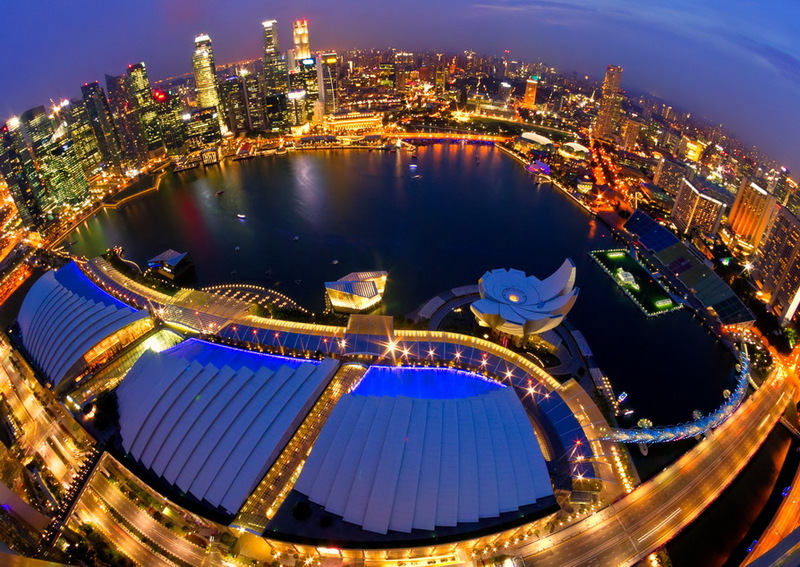 Singapore offers delicious affordable eats and fine dining cuisine. Bargain shopping is easy to come by and the countless attractions will give you something different to explore every day. As a Club Wyndham Asia Member you have access to this destination with Ramada Singapore at Zhongshan Park and Days Hotel Singapore at Zhongshan Park. 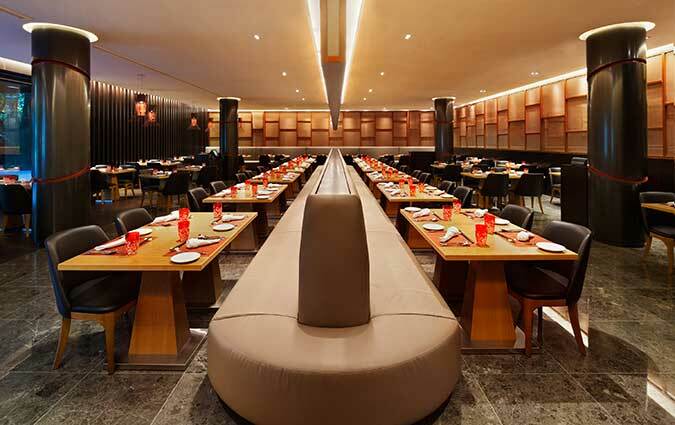 The Ramada and Days hotels Singapore are located side by side on Balestier Road the heart of Singapore’s heritage and foodie haven. The hotels are separated by Zhongshan Park, a parkland that features modern Chinese architecture and beautifully landscaped gardens that provide a little piece of paradise away from the hustle and bustle of the city. Both hotels feature stylish and contemporary rooms with large bay windows that let in plenty of natural light and have sweeping views of the city and Zhongshan Park. 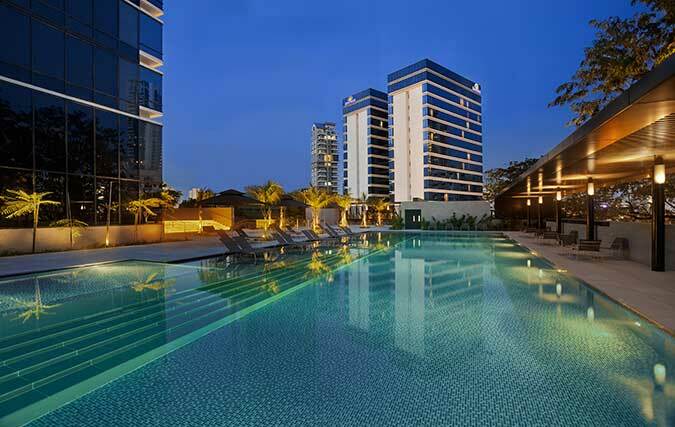 The outdoor swimming pool and large pool deck at Ramada Singapore is the ideal place to unwind after a day of exploring the city. Flavours at Zhongshan Park showcases the melting pot of cultures that make up Singapore, with a delicious variety of menu options including both Asian and Western cuisine. The Heritage Lounge bar is the perfect place to start off the night for a pre-dinner cocktail. 21 on Rajah is one of the region’s most popular Halal certified restaurants and was recently voted in Singapore’s Top 10 buffet restaurants for Singapore’s 50 years’ of independence celebrations. The spacious family-friendly restaurant serves lunch and dinner featuring fresh seafood on ice and live cooking stations. The lively Whampao Markets is a popular cheap eats option for locals. As Balestier Road is famous for its Hainanese chicken rice, this is a must. Other popular dishes include fried hokkein noodle and Rojak, a crunchy fruit and vegetable salad dish that combines sweet, salty, sour and spicy flavours. Orchard Road is the ultimate shopping experience with more than 500 brands, across 22 shopping malls and six department stores. The street is always buzzing thanks to regular sales, fashion shows and Pedestrian Night, which creates a vibrant atmosphere every Saturday. Velocity@Novena located above the Novena MRT is within walking distance from Ramada and Days hotels Singapore and features a huge range of brands and specialty shops. Balestier Road is a true taste of Singapore’s fascinating history, dating back 180 years when the country was a British trading post. The Balestier Heritage Trail takes visitors on a journey past traditional shop houses filled with sweet and savoury treats, while discovering stories about the key moments of the 1911 Chinese Revolution that took place here. 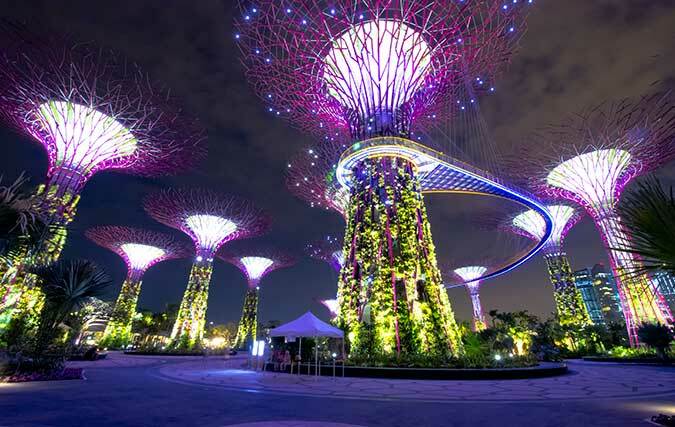 Gardens by the Bay is a short drive from the hotels and showcases three waterfront gardens on 100 hectares in the middle of the city. The nightlyGarden Rhapsody show is a beautiful spectacle of colourful lights and music not to be missed. Take a day trip to Sentosa Island by cable car or monorail, which is home toUniversal Studios and a variety of other fun family activities.